Magical Boucle booties add a whimsical touch to any outfit. 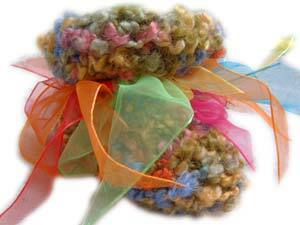 Soft, washable boucle - topped off with a soft and gentle harlequin elastic is a show-stopper. Fun to wear, in wonderful colors, this is also a great gift. Make it a gift at checkout with our gift wrap and custom card option!